Prague, according to the latest Sustainable Cities Index (SCI) of the Arcadis international consultancy, ranked among the top of sustainable cities in the CEE region from the point of view of the local population. The Czech metropolis was ranked 23rd on the global scale. Arcadis’ Sustainable Cities Index 2018 presents London as the city in the lead, followed by Stockholm and Edinburgh. In the first twenty (see Annex 1 at the end of the text), there are 14 European cities, 3 Asian and 3 North American cities. Balanced Innovators – destinations falling into this cluster are particularly strong in People and Profit sub-indices. The cluster includes cities like Berlin, Hong Kong, Sydney and Prague. Post-industrial Opportunists – cities in this cluster are mostly from the U.S., and their typical strengths are aligned to the People and Planet sub-indices. Evolutionary Cities – the cluster includes cities which do not rank in the top when assessing the Profit pillar. Fast-growing Megacities – cities in this cluster include very large cities from Asia with a weak Profit pillar. 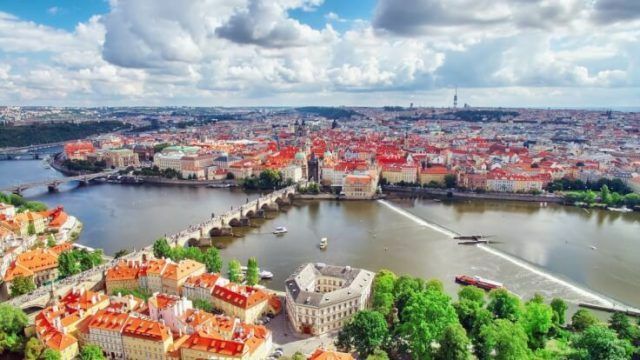 The capital of the Czech Republic excelled mainly in the People pillar, which examines the current quality of the citizens’ life and the outlook for future generations. In this pillar, Prague occupied the sixth place, surpassing even Vienna, which dominates the overall rating for Central and Eastern Europe. On the contrary, the Czech metropolis still has unused potential for a long-term sustainable development in the Planet pillar, where it occupied the 68th position. From the economy point of view, Prague climbed to the top fifteen destinations again and occupied the 12th place. “The current Arcadis´ Sustainable Cities Index evaluates Prague as ´a balanced innovator`. In two monitored pillars (i.e. quality of life of its inhabitants and quality of business environment) Prague was ranked very high on a worldwide basis. The index appreciates e.g. availability and quality of healthcare in Prague, security in our capital, development of tourism, numerous occasions for business activities and a wide range of job vacancies. Within the third pillar (i.e. sustainable growth) water management and green space in the city got a good evaluation. There is scope of improvement in transport, in geographical and virtual networking of the city and in waste management,” states Lenka Matějíčková, Head of Sustainability of Arcadis Czech Republic in the press release issued at the occasion of the 2018 Index presentation. According to the Arcadis’ Sustainable Cities Index Prague, as well as Warsaw and Budapest, faces carbon dioxide emissions, which is significantly affected by traffic situation in Prague: “The amount of green space, availability and quality of healthcare and work-life balance put Prague at the forefront within the Central European comparison. Prague is very attractive to tourists and the city itself supports tourism as far as possible. Our index highlights the need to reduce carbon dioxide emissions, to support alternative modes of transport.” states Lenka Matějíčková.